Smart phone GPS's have reasonable accuracy for position, but are remarkably bad at giving accurate elevation figures - something that is critical for gravity racing. 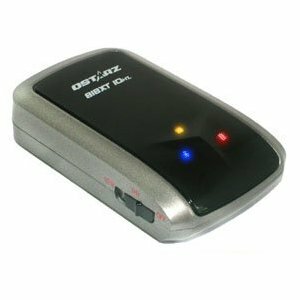 The Qstarz BT-Q818XT 10Hz 66 Ch Fast Bluetooth GPS Receiver is an advanced GPS receiver that can connect to your phone via bluetooth and turn it into an lap logger and timer. The Q818XT will acquire your position up to 10 times a second (10Hz), but Trackmaster works better at 5Hz. Fortunately, Trackmaster can be used to control the Q818XT polling frequency so you just set it and forget it. 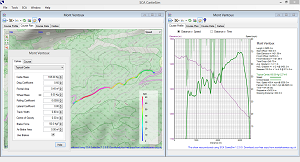 Add SCA CartieSim and a laptop and you can analyse the track and plan your race well in advance. Just walk the race line with your logger and phone in your pocket to record all the details about the track, then import it all into CartieSim to estimate speeds and identify corners where you may need to brake. Then run Trackmaster on each run to record your speed profile and see where you can pick up those valuable seconds. 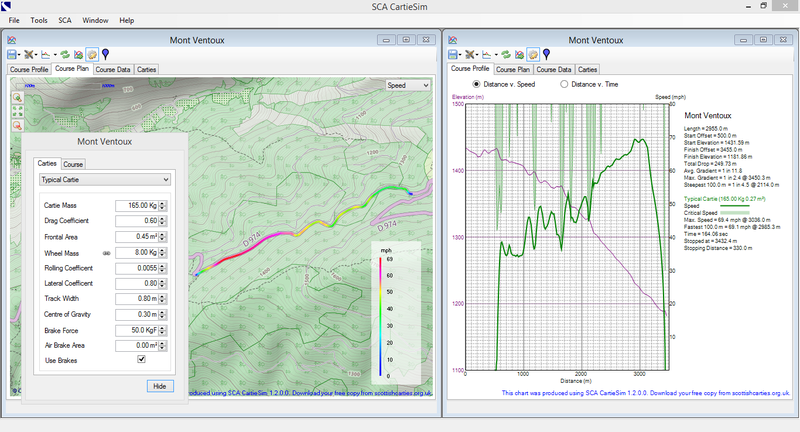 You can even add split markers along the course to see times for individual sections.